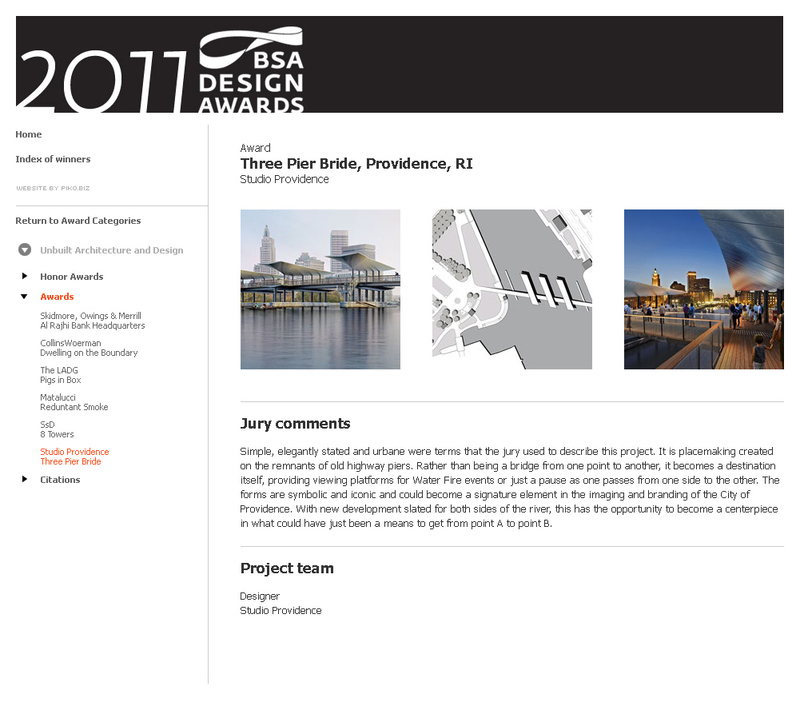 Studio Providence, a partnership between Friedrich St.Florian Architects and 3six0 Architecture is very pleased to have won a Design award from the Boston Society of Architects. Simple, elegantly stated and urbane were terms that the jury used to describe this project. It is placemaking created on the remnants of old highway piers. Rather than being a bridge from one point to another, it becomes a destination itself, providing viewing platforms for Water Fire events or just a pause as one passes from one side to the other. The forms are symbolic and iconic and could become a signature element in the imaging and branding of the City of Providence. With new development slated for both sides of the river, this has the opportunity to become a centerpiece in what could have just been a means to get from point A to point B. “…timber is so ridiculously exvpnsiee for something we have so much of.Also the lack in New Zealand of economically available timber based building products. I have never taken the trouble to find out why this is the case, but the prices of even the shoddiest timber standard houses are ridiculously high for the value they represent.”Yes, it is. You’re right. I’ve never taken the trouble either to find out why, but I was talking about it the other night with a friend, thinking maybe we should.Why should building products and building costs here be around twice as much or more what they cost overseas?